Finished necklace...slip over head to wear! 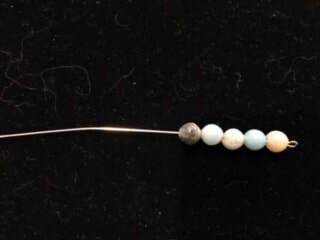 ​Follow the steps for the Seaborne earring kit, modifying for the different beads, as shown above. Follow the steps above. If you need help on how to make a loop, click on the button below. Another option, if you plan on making lots of earrings, is to treat yourself to a 1-step looper....you'll have perfect loops...every time! Click on the button below to see how they work! Now you are ready to attach the earwires to the dangle. Click on the link below to watch a video on how to attach earwires. Open Large jump ring & loop through seaglass coin & shell charm. Shell should rest in the 'bowl' of the coin. Slip small jump ring on large jump ring so that it lies to the back/underside of bowl. Close large jump ring. Slip earwire through small jump ring, until it dangles as shown @ 'elbow' of earwire. Pinch knob end of earwire back until it touches the crook of the rest of earwire, to prevent dangle from falling off. Congratulations! A complete pair of earrings! Please click on button below if you need instruction on opening a jump ring, or above for attaching earwires. You will need a pair of small chain nose pliers. Follow steps 1-3 for 'Starfish on the Beach Bracelet"
Step 5: Attach the round jumpring to the loop at the top of the charm, close the ring. Step 6: Loop oval jumpring around stretchy cord in desired spot, through the hole in the pendant & through the round jumpring attached to the shell charm. (shell should be atop the seaglass coin). Close the ring to securely attach all to bracelet. ​Step 7 (optional): Place a crimp cover over the knot, add a drop of hypocement & gently close crimp cover over knot with your fingers. Do not pinch too tightly...you'll cut the thread! Allow to dry overnight before wearing. 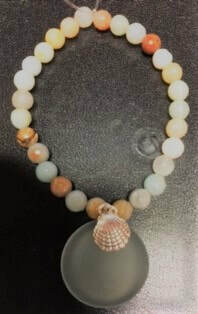 Attach large jump ring to shell charm. Loop large jump ring though large concave coin so shell nestles in 'bowl' of coin. Use second small jump ring to attach the ends of the chain together, as shown. Close small ring. Slip necklace over your head to wear! Step 1: ​Thread beads on to eyepin in desired order. You will have a lot of extra pin...don't worry! Step 2: ​When all the beads are on, make a loop at the other end of the pin. Do not close the loop completely. Cut off the excess length on the eyepin. Step 3: ​Measure the chain to the length you want the necklace to be, then cut off excess. Cut remaining chain in half. Step 4: ​Attach one of the half-lengths of chain to each side of the eyepin & close the loops tightly. ​Step 5: Attach jump rings to chain at the open end of chain, the attach the lobster claw to one of the jump rings. bend jump rings forward & back to open, not side to side. ​Congratulations! You made a necklace! Lay out the beads in the order you would like. 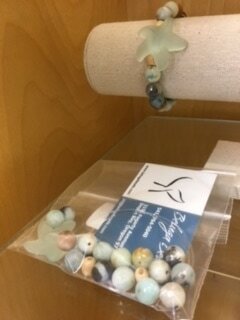 Place starfish in center with the two wood beads on either side (helps to keep starfish stabilized on wrist). You will have 7 beads on one side & 8 on the other. Remove the extra if you have a smaller wrist. 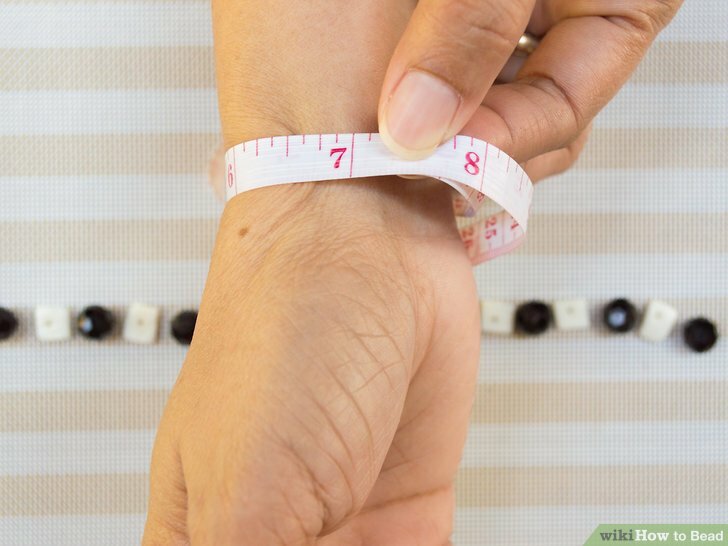 Measure your wrist...determine if you will need all the beads. Stretch your Elastoma 2-3 times before threading, this helps to keep it from sagging with wear. Thread the Elastoma (stretchy thread) through all the beads, (no need for a needle) in the order that you laid them out. Place bracelet around wrist to double check your length & make sure it fits. Utilize a surgeon's knot to tie off bracelet. Use a drop of e6000 or hypo-cement on the knot when completed. Let dry overnight without moving or wearing. Cut the excess elastic thread off. If the bead hole is large enough, push it inside bead #8 while glue is wet, & allow to dry.